We finally picked the last of the Pinot Noir during the night so a day off was well earned (well I believed so!) 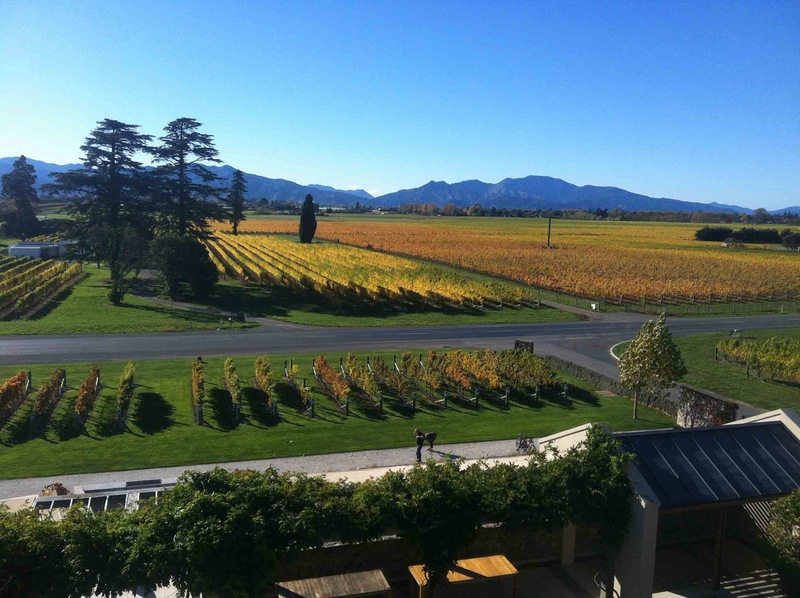 I decided to explore the region where I have been living for the last five weeks and thought that I would do the classics of Marlborough. It would be good to see just how they stand up to the brand image so famous throughout the rest of the world’s wine-drinking countries. I awoke to a beautiful morning and a ferocious, blustery, warm wind. For me, this is nearly the fastest clothes drying place in the world, second only to the Roussillon and its mighty Tramontane wind and where clothes pegs with the grip of a panic-stricken cat are required. After collecting my washing from the amongst the vineyard, I set off. 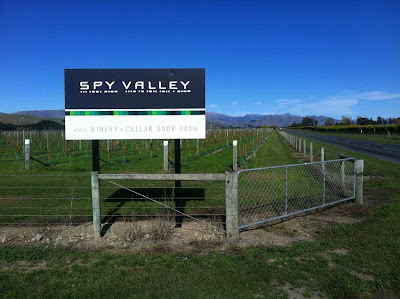 I headed up the Wairau Valley from Blenheim in the direction of the small fishing town of Picton, before swinging southwards into another tributary valley, The Waihopai Valley. 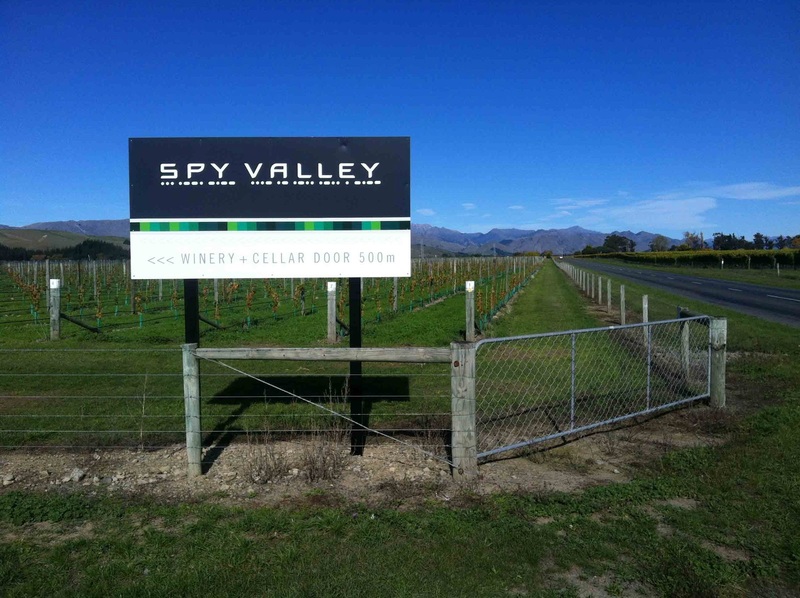 The producer here is the well-known Spy Valley Winery and so named for its proximity to two giant, hidden, squatting golf ball satellite communication ‘spy’ stations located in the valley. 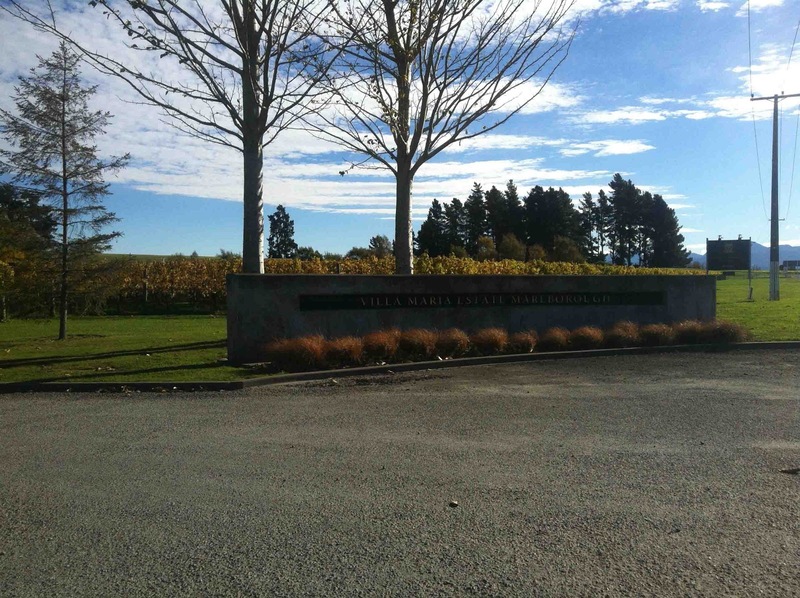 The cellar door is nicely incorporated into the winery and a very friendly place indeed. I tried the 2012 range and was very impressed. The Sauvignon Blanc very pungent and tropical. Loving the fat but fresh Pinot Gris; the Riesling varietal; the nicely off dry, Gewurztraminer (aromatic, but not sickly); and a superbly well made 2010 Pinot Noir from the Outpost label. I bought a bottle of the flinty Chardonnay. 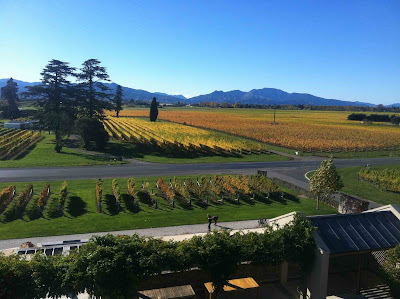 I drove up to the main road, crossing back into the Wairau Valley to a biodynamic outfit called Seresin Estate. 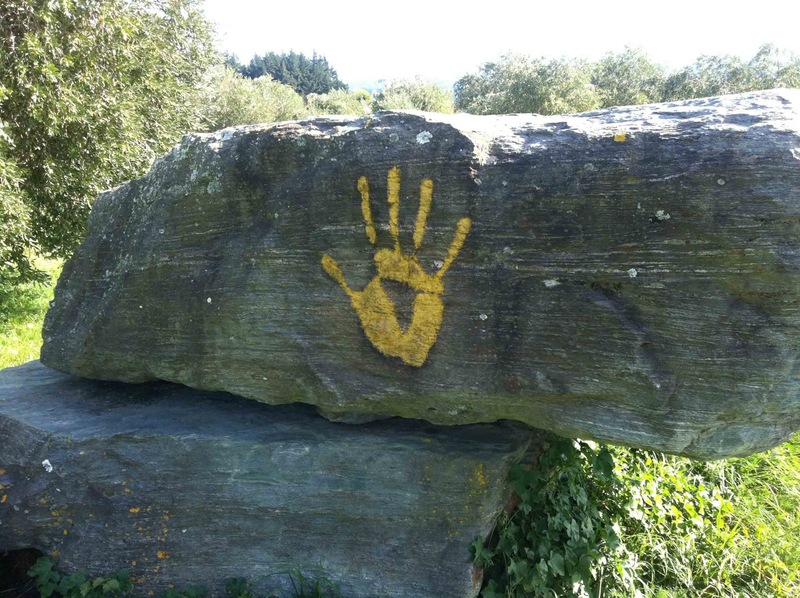 All cool and trendy is this place, a painted hand print on the big rock lets you know where you are! The winery oozes that bio style and the shipping containers converted into offices and cellar door are fit beautifully. The wines however are much more aromatically subtle but I loved the 2011 off-dry Riesling and the complex 2010 Leah Pinot Noir. From here I made my way back towards Blenheim and to the Wither Hills Winery on New Renwick Road. The magnificent tasting room and cellar door is hard to miss and has a very spacious interior allowing that unique natural kiwi light to pour in. An excellent cellar door and I was welcomed with a friendly reception. Good restaurant skills, too, as although fully booked, I took a 10 dollar tasting of the ‘cellar door only’ cuvees whilst they made space for one. I loved the wines, all of them. The Sauvignon from the far-flung Rarangi vineyards on the coast of Marlborough was all that I want from NZ Sauvignon Blanc at this price. The 2010 Kerseley Riesling was delightful and well balanced; the Gewürztraminer lovely; and the single-vineyard Taylor River Pinot Noir impressive. I had a light bite to eat in the airy, buzzing restaurant: pan fried salmon and a 2009 Chardonnay, flinty. I bought a classic Sauvignon for home. Turning back onto the New Renwick Road the obvious stop was Villa Maria. My mate Josh is a winemaker there and rather like myself has been somewhat occupied over this crazy 2013 harvest. We have only managed one pathetic beer together before we almost fell asleep at the bar. Josh was nowhere to be seen so I didn’t ask after him. I suspect he was asleep somewhere! At my winery, one of the old ‘caustic cleaning in progress’ signs had been placed outside the winemakers office. However the words ‘Caustic cleaning’ had been worn away and had been substituted in permanent pen with ‘sleeping’ by a cellar rat! 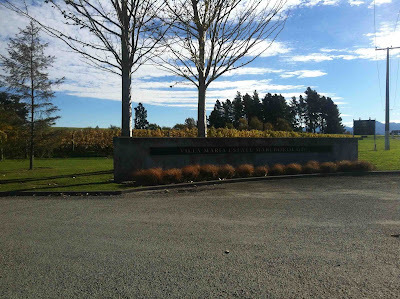 Yet again, though, an energetic and friendly welcome at the cellar door with knowledgeable staff. 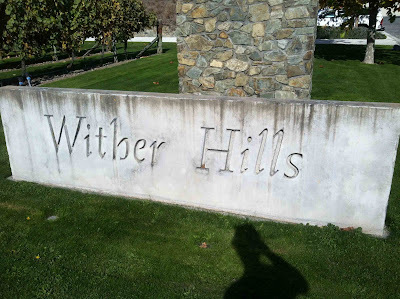 I liked the wines here too! 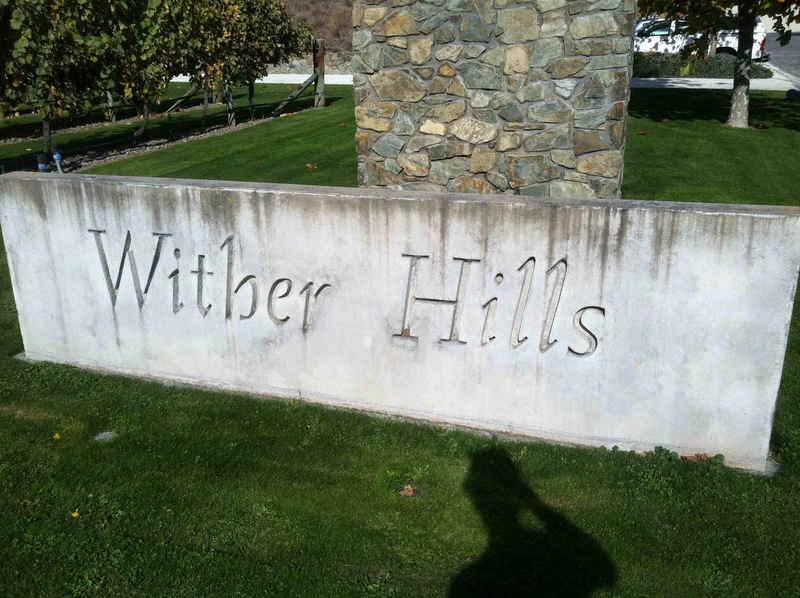 Such clean aromatics and well-made wines available. I walked away with a Grenache from the Auckland vineyards (not quite as good as the Roussillon but I liked it). It’s refreshing and comforting to see the big names maintaining such a high level of wine quality in times of such high wine demand.